DESCRIPTION: IWS completed a major wastewater infrastructure project at the Paradise Plaza in Paradise, CA in the Spring of 2005. IWS completed a major wastewater infrastructure project at the Paradise Plaza in Paradise, CA in the Spring of 2005. The regional mall is based on a 12 acre site and is home to major retailers (Kmart, Albertsons, Rite-Aide) and restaurants. The facility had a number of septic systems in operation which were unable to accommodate the wastewater load which caused the leach fields to fail and resulted in septage surfacing in some areas of the parking lots. The property is owned by a publicly traded REIT. IWS provided a complete solution for the client which included installing and testing: a) over 20,000 linear feet of new collection and distribution piping; b) two new lift stations with grinder pumps; c) a series of pre-treatment tanks; d) a modified SBR unit treating up to 20,000 GPD with control building; f) a dosing tank to a series of 24 distribution valves; and g) more than 12,000 feet of new drain line that was slip fitted into the existing dispersal lines which avoided excavation of the area. IWS also upgraded the water supply system for the retail complex, installing new pressure reducing valves and associated piping. The project was completed in approximately four months, and included work onsite during the busy holiday shopping season. IWS was able to execute the work with minimal disruption to ongoing commercial businesses. All surfaces were repaired as the work was completed. IWS provided traffic control and worked with the tenants to limit the impact to their business. 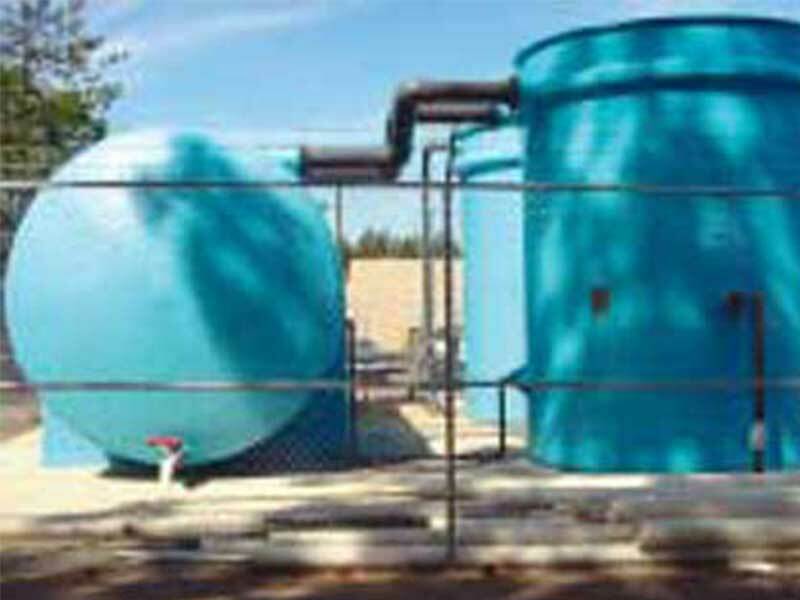 The completed wastewater treatment system met all the regulatory discharge requirements. IWS worked closely with Mark Adams and Nick Weigel of NorthStar Engineering during the pre-construction planning and construction phase. Nick Weigel said “IWS was able to self-perform a diverse range of construction activities to complete this complex and difficult project on schedule”.